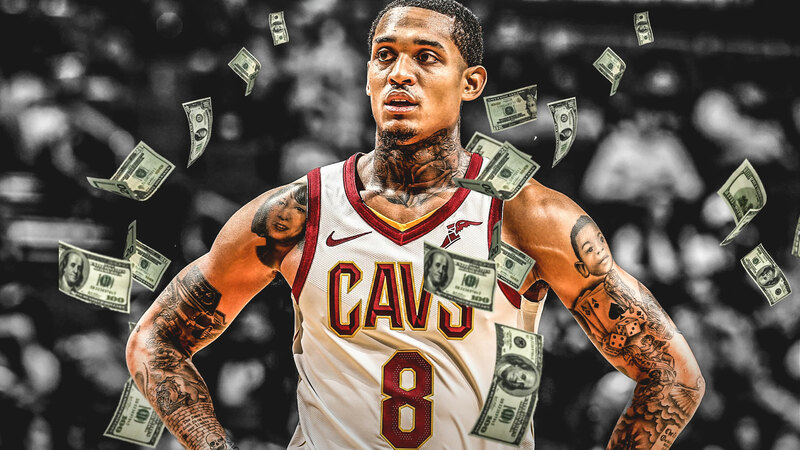 Cleveland Cavaliers shooting guard Jordan Clarkson is looking like a different man this season. Literally, the 26-year old combo guard looks different with the array of tattoos inked on his body. Clarkson’s tattoo artist actually thinks that he has already spent $20,000 this year on ink. Joe Vardon of The Athletic wrote a story about what inspired Clarkson to decide to be inked during the offseason. There are more, so many more that Clarkson can’t even give a count. All in 2018, most of them since the Cavs lost in the Finals in June. One of his tattoo artists estimates Clarkson must’ve spent 20 grand. Clarkson also says that nothing really momentous forced him to have the tattoos. It was always something that he desired for a while. Clarkson’s answer for his tattoo crusade is simple — he always wanted them, and now he has the time and the means to do it right. The depth of Clarkson’s story is in the experience of each time that hot needle presses down on his skin. Instead of sulking after the Cavs’ painful Finals series loss to the Golden State Warriors, Clarkson got busy over the summer. For the first time in his career, he represented his native roots by playing for the Philippines in the 2018 Asian Games. He also had private training sessions with former Cavs coach Tyronn Lue. And of course, there are the tattoos on top of that. Despite the Cavs’ woeful start this season, Clarkson has been a consistent scorer off the bench, eclipsing double-digit points every game.